Clemenger Group is to undergo a major management restructure which will see all of its Australian agencies headed by Chris Howatson, Mumbrella can reveal. The move acknowledges the success of CHE Proximity in the seven years since, at the age of just 27, Howatson took the helm of the merged Clemenger Harvie Edge and Proximity agencies. Since then, CHEP has become a national proposition combining a consultancy-style approach with a customer experience specialism, underpinned by a solid creative offering. Last year, CHEP was named Mumbrella’s full-service agency of the year and media agency of the year. All of the Clemenger Group agencies – CHE Proximity, Clemenger BBDO, Clemenger Brisbane, Levo, Marketforce and Red Handed -will retain their existing bosses. 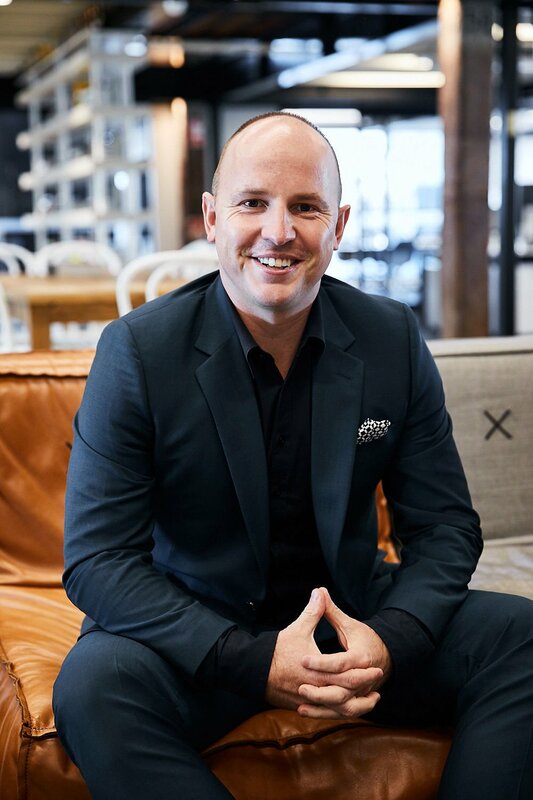 This includes Nick Garrett, himself Mumbrella’s leader of the year, at the helm of Clemenger BBDO Melbourne and Sydney. The agencies will keep their existing brands. Announcing the move, Clemenger stressed that CHEP and Clemenger BBDO will remain as seperate, conflict-managed agencies. Under Howatson, the new Clemenger Agency Brands Group will amount to $150m in revenues and 700 staff. CHEP accounts for more than half of the group’s revenues, and Howatson will continue to directly lead the agency alongside his new role. Clemenger Group is majority owned by Omnicom, but local staff still hold a sizeable minority stake. Part of Howatson’s brief will be to help all the companies within the CABG to develop the consultancy and client transformation offerings which have helped CHEP rapidly build its business model. CHEP is one of the few agencies in Australia which has successfully reinvented its offering to take on the rising influence of consultancies such as KPMG, Deloitte, Accenture and PwC in the battle for CMOs’ budgets. The aim is for Howatson to lead a transformation that will see all of the Clems agencies widen what they can offer clients beyond traditional agency services. Howatson will report to Clemenger Group chairman Robert Morgan. Morgan said: “We are committed to celebrating the differences between our agencies, their cultures and geographies. We will maintain our different brands and cultures, yet benefit from cutting-edge common capabilities that are needed to best serve our clients to win in the new era of advertising. This structural change enables us to move faster and with greater efficacy”. “Creativity is an economic multiplier that when applied to all dimensions of our clients’ businesses – product, service, experience, process and culture – is near impossible for their competitors to rapidly imitate. With over 700 people, we are Australia’s leading creativity consultancy. “There’s an important distinction between creative and creativity. Creative is what a department does when producing ads. Creativity is a way of thinking that creates value in all and any application across a client’s business – communications sometimes being an output, but increasingly not as we support clients across all business functions as well as their customers across all journeys. “We’ve invested in building a culture of creativity for over 70 years, and in this next phase of CABs, we’re going to see continued heavy investment in both our leading brands to build a future facing creativity model. This is more than enhancing data, experience and technology services, but how those capabilities are applied with signature Clemenger Group creativity”. “Historically all agencies did essentially the same thing. Critically, what we’ll be building is a portfolio of brands each fluent in modern communication design and orchestration, but importantly differentiated by their own creativity stretch. CHE Proximity has emerged as a leader via its Connected Creativity customer experience approach to brand management and business transformation. While Clemenger BBDO has successfully expanded from a focus on advertising to a wider lens of applied creativity thinking. And then they start scope creeping on Omnicom’s media clients. I mean fair play its a dog eat dog world, but its definitely going to happen. Congratulations my man! Great to read.